The ring in the photo is sold. 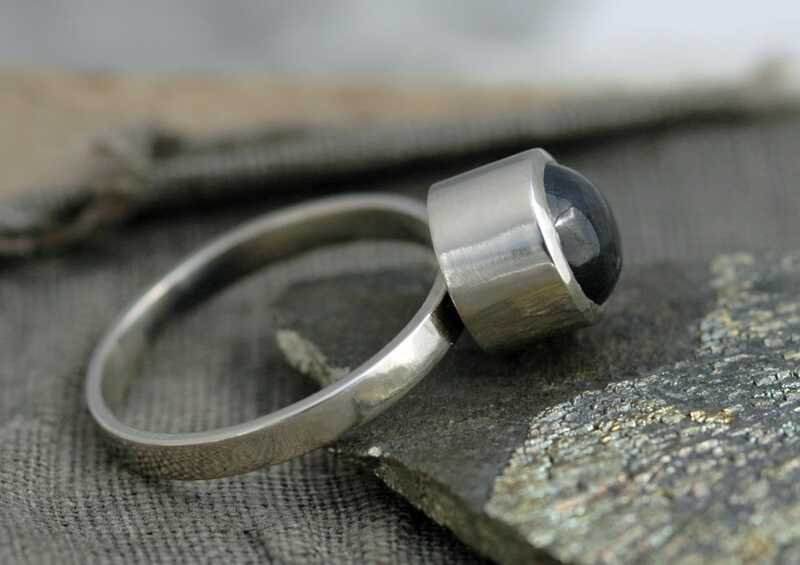 The pictures are used to show you how your ring will appear when complete. 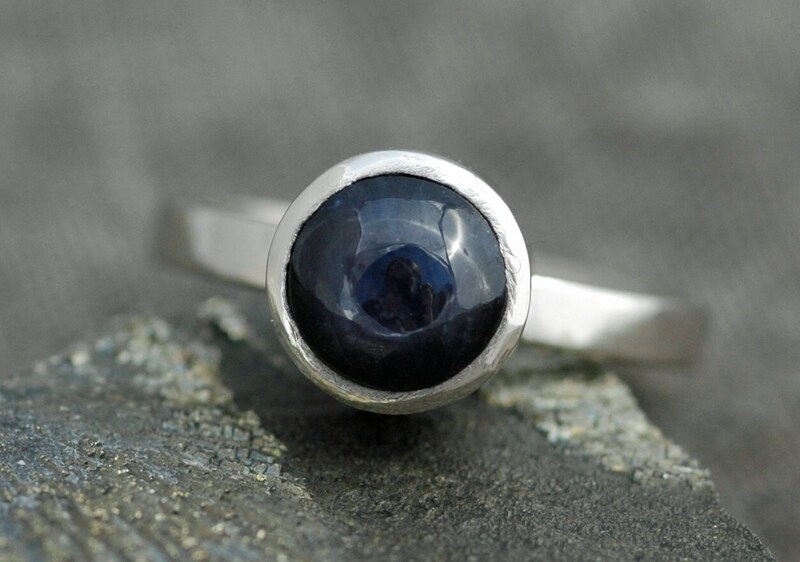 The focal point of this sleek and modern-looking ring is a gorgeous Ceylon star sapphire. 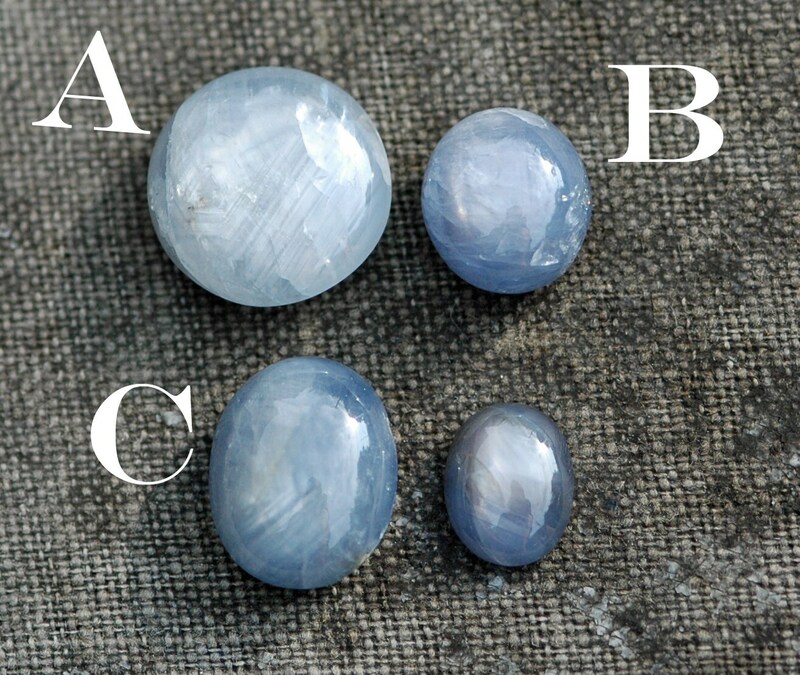 These sapphires are untreated and unheated- they are completely natural. They are a gorgeous, pale cornflower blue colour. 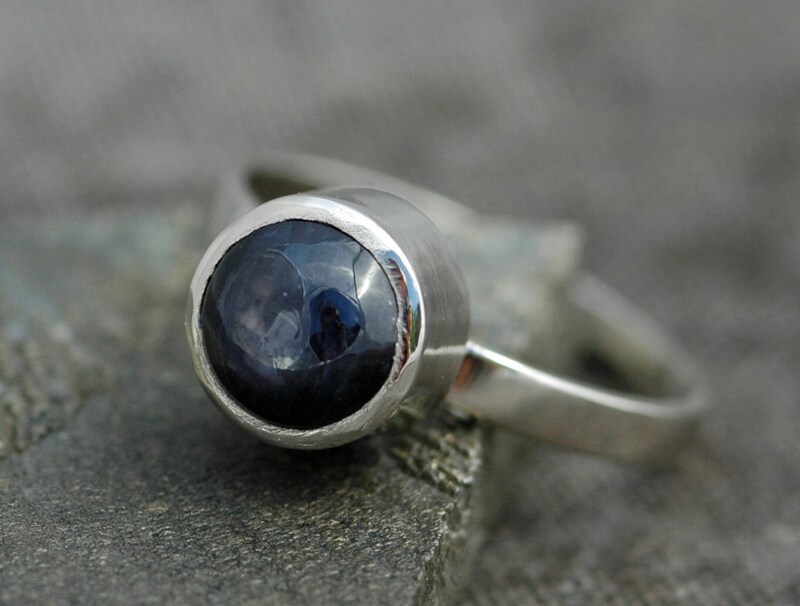 The sapphire in the photos is a dark blue sapphire- please get in touch if you would like for me to source you a darker sapphire. 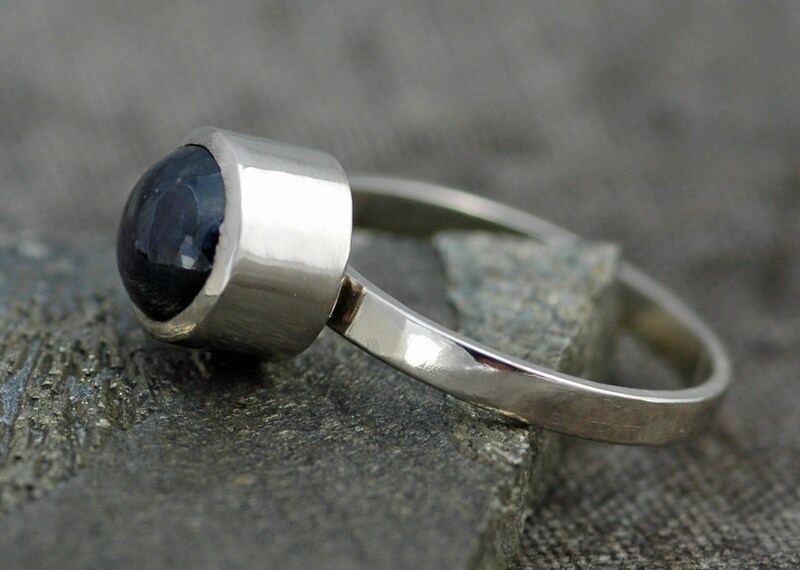 Sapphire is a very hard and durable stone, and is perfect for everyday wear. It is also September's birthstone. The ring is built completely from recycled gold. The smelter from whom I order my gold has been in business in the USA for over 100 years, and adheres to the highest possible standards of environmental safety. Please choose your size, your gold, and your sapphire from the dropdown menus during checkout. Band texture can be listed in the 'note to shop' box during checkout. If you do not specify, I will make the band high shine, as seen in the photos. Please put your choice of gold colour (white, yellow, or rose) in the 'note to shop' box during checkout.